International Medical University (IMU) is Malaysia’s first and most established private medical and health Sciences University. IMU is here to stay with root going back solid 22 years. IMU has a Tier-5 rating in the Setara ratings of Malaysian Universities and University-Colleges awarded by Malaysian Qualifications Agency (MQA). International Medical University is operated by the company IMU Health, a subsidiary of IHH Healthcare, which also owns the Singapore-based company Parkway Pantai, Southeast Asia’s largest private healthcare provider. The largest shareholder of IHH Healthcare is Khazanah Nasional, the sovereign wealth fund of the Government of Malaysia, followed by Mitsui and Citigroup. Program designed to prepare students to be competent Registered Nurses with clinical experience at the Pantai Group of Hospitals and other approved Government Hospitals as well as Healthcare Centres. The great news is graduates from IMU consistently securing 100% passes in the Malaysian Nursing Board Licensure Examinations. Plus benefit is employment is guaranteed for students sponsored by hospitals. 150 Sponsorships Available from reputable private hospitals, PTPTN loan or FELDA Financial Assistance. Nursing is a noble profession. Nursing career advancement is a bright and vast field to venture. A qualified professional nurse combines knowledge (theory), skill (practice), creativity and intuition. Nursing involves caring, nurturing, educating and research within the healthcare system. In employment market, nurse’s opportunities lays like a vast green field. Nursing graduate can be university professor, clinical specialist, research specialist or director of nursing. Experienced nurses with a degree can have own nursing home or nursery or go abroad for big money. Students from both Arts and Science streams can apply. Minimum of 1 year in the same accredited institute. Bachelor of Nursing Science (Hons) program was initiated as nursing education is a necessity. It is specially designed for registered nurses to enquire the necessary skills for a variety of roles. The degree program has created an opportunity for RN to continue working while they pursue their studies. Bachelor of Nursing Science emphasise on reflective learning, interpersonal, team working skills and self-directed learning. The NHEF was established by our Government to ensure that Malaysian students who are not financially well off could still obtain a good education in a Malaysian university. – The NHEF loan is only available for the local option programmes conducted fully in Malaysia. – For Medicine and Dentistry, NHEF loan is available for both local and credit transfer programmes. – The NHEF management board charges an administration cost of 1% per year of the remaining loan sum. International Medical University resources are channelled to medicine, health sciences and complementary education. The education in International Medical University is integrated with research and healthcare practice with IMU Institute for Research, Development & Innovation (IRDI). The students in IMU is drilled into knowledgeable, competent and caring healthcare professionals who are critical thinkers, reflective yet proactive. This university emphasises its students serve the community by providing health education to the public, enhance communication skills and strengthen professional and technical skills in real world. The university curriculum has been developed to meet high international standards. International Medical University was born for the sole purpose of bringing the medical education that young Malaysian students wanted to them. IMU shall be an innovative global centre of excellence in learning and research, supporting a community of scholars and professionals committed to serving society, promoting the development of students to reach their true potential in becoming competent, ethical, caring and inquiring citizens and visionary leaders. IMU is committed to academic freedom and the principles of equal opportunity in the pursuit and application of knowledge, the highest standards of intellectual, educational and research productivity; and the establishment of a learning organisation that respects the individual. To train competent professionals with the use of innovative technologies of knowledge especially ICT in the teaching- learning process. Aim to be an innovative centre of excellence in learning and research, producing competent, caring and ethical professionals who are lifelong learners. IMU students representative council is a platform for IMU students inacademic, student welfare and co-curriculum activities. Exhibits of anatomy models, charts, potted specimens, fixed learning modules, microscopic slides, videotapes, CD ROMs, radiography imaging etc. IMU library is vast with 750 seats of various types with 11 discussion rooms. Contains more than 60 000 copies of printed books, 74 780 titles of e books and 6000 titles of online journals. The library is divided to 2 zones: Collaborative study areas where light discussions are allowed and quiet study areas for serious individual study. 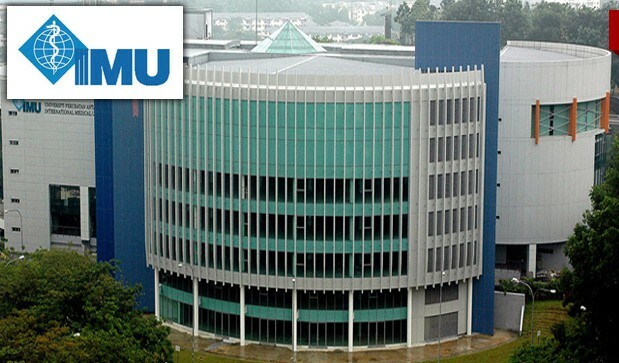 IMU accommodation is located at the Vista Komanwel (Bukit Jalil), opposite IMU campus. Rooms are single or twin sharing in first come first served basis. The rooms are fully furnished with internet facilities and recreational facilities. IMU students enjoy the convenience of laundry services and mini market short distance. Vista Komanwel is strategically located within 10 minute walking distance to the Sri Petaling LRT station nearby to the Lebuhraya Kuala Lumpur-Seremban and Lebuhraya Shah Alam (KESAS). There is also a bus terminal nearby. Within the location of Vista Komanwel/Covillea(Bukit Jalil) are the recreational centres of the Bukit Jalil Golf & Country Resort, Commonwealth Hill and the Bukit Jalil National Stadium which offer a variety of sporting facilities of international standards. IMU students will be surprised as they are surrounded with Carrefour hypermarket, retail outlets, banks, clinics, hotel, restaurants, post office, dentists, launderette etc. With all the above facilities IMU students’ accommodation only cost between RM550-RM 1200/month.